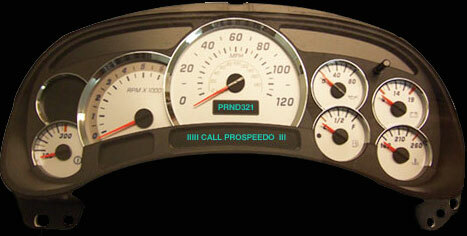 Prospeedo has been fixing digital speedometers and digital instrument clusters for 24 years now. We now see everything from speedometer wizards to speedometer doctors trying to make a quick buck off the general public in this industry only to make things for worse then for better. What’s next speedometer clowns?. Free Balloons if you let us work on your speedometer cluster. Get Serious People! Do you really want someone doing exploratory surgery wearing a mask and surgical gloves using a kitchen fork and scotch tape working on your digital speedometer? Prospeedo doesn’t wear a mask. We don’t need to hide behind our work and we don’t use tape to re-calibrate your needles. Looking at quick free low buck Youtube fixes and buying stepper motors and lights from eBay to fix speedometers takes zero knowledge. Joey’s magical $25 fix and he has done lots won’t cut it very long in this industry.Will come to you, nobody beats are price? yea ok! Using a fork to remove your needles or tape to re-calibrate them? Come on guys really! Please get serious. 24 years or 24 months? you decide, the math is simple. Call the Pros! Lets set the records straight, Prospeedo has been fixing the 2003 to 2006 Chevrolet GMC stepper motor problem, digital display problem and light bulb problem for over 12 years now. Its nothing new to us. For more information in regards to Instrument Cluster removal for the 2003 to 2006 GMC Chevrolet Trucks Suvs etc. Click Here! Prices will vary on Year of Speedometer Cluster, Hour Meter type, job needed done and complexity. See simple price quotes below. 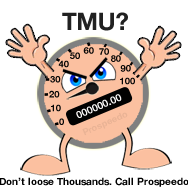 Prospeedo has been fixing Digital Speedometers for over 24 years, we work on anything from Vehicle Speedometers to Motorbikes, Snowmobiles, Quads, Farm Tractors, Dozers, Big Rigs, The list goes on and on etc. All packages that we get in go out the same day as we receive them, everything is sent through Fedex Overnight. We accept Cashiers Check, Money Order, Paypal only, made payable to Prospeedo. We Can Help! 24 years in Speedometer Repair and Instrument Cluster Programming. We fix 1999 to 2018 Digital Speedometer Clusters. Same day turnaround on packages sent in. Stop! We Can Program Most 1992 to 2014 Digital Speedometer Clusters, No need to Zero out Miles and then TMU because nobody could help you. Call us first before others tell you we can’t program your original mileage back into your new or used cluster.